This entry was posted in Nature, Photography, Winter and tagged Frost, Nature, Photography, winter. Bookmark the permalink. Gorgeous image Julie. Stay warm! We’re having the crazy cold too. Thanks, Brad, I’m looking forward to seeing all of the pretty frost formations on my windows this winter. The cold temps are down there too? What is it, 30 degrees? That’s not even coat weather up here haha! 😉 Bundle up and have a Happy New Year, Brad! Oh my goodness! That image is incredible. Bloody nice one! Beautiful picture, Julie! Stay warm, and Happy New Year! Love, love, LOVE this! I’m fascinated with snow and ice pics, but the ice crystals are some of my favorites. 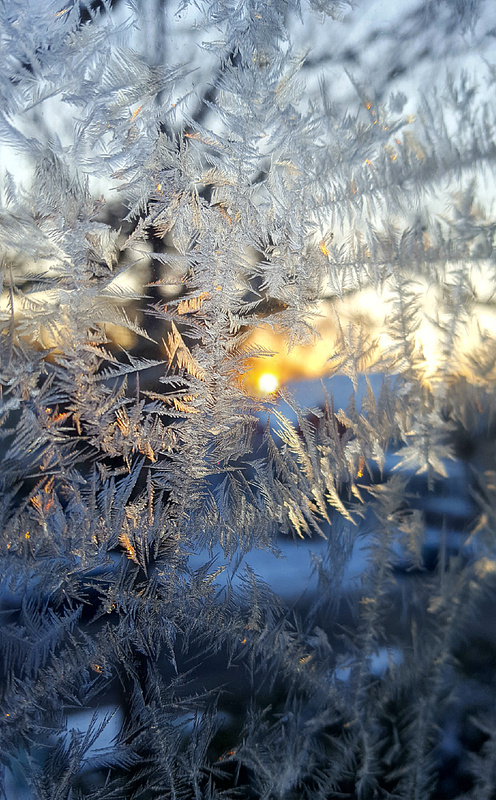 Frosty cold – stay warm, Julie! Yes it is! I will, you too there Eliza! Thanks Jewels! who needs words anyway when the picture says it all. “The heavens declare the glory of God; the skies proclaim the work of his hands. Day after day they pour forth speech; night after night they reveal knowledge. They have no speech, they use no words; no sound is heard from them.” – Psalm 19:1 Have a truly wonderful and exciting new year that leads you into new vistas and experiences that expand and develop your enjoyment and appreciating in ways not yet encountered. Richest blessings dear Jewels!